In the ConfigMgr console navigate to Administration workspace / Overview / Cloud Services / Microsoft Intune Subscriptions and click Configure Platforms / Android For Work. 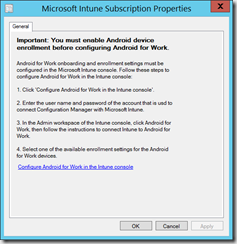 Intune opens in the Android for Work setting, click Configure. 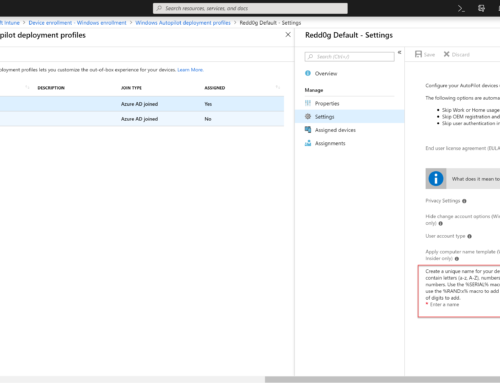 Once signed in, click Get Started, enter your organization name and accept to use Intune as the Enterprise Mobility management provider. The wizard will take you back to Intune to complete the registration. 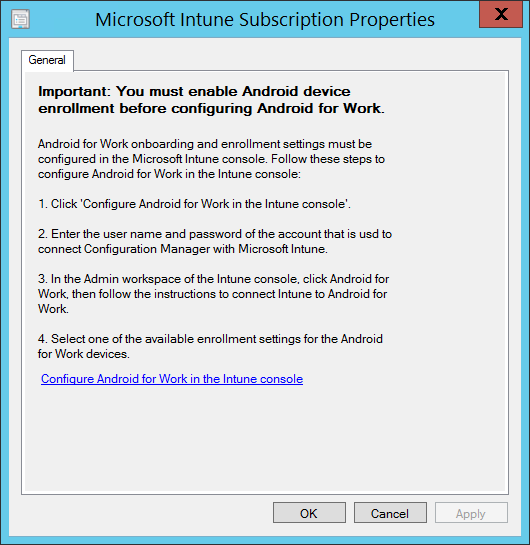 In Intune, select your Android for Work Enrollment Settings and get started managing those droids. 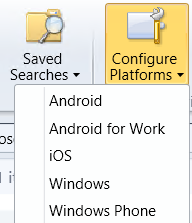 Back in the Configuration Manager console, navigate to the Administration workspace / Overview / Cloud Services / Android for Work. 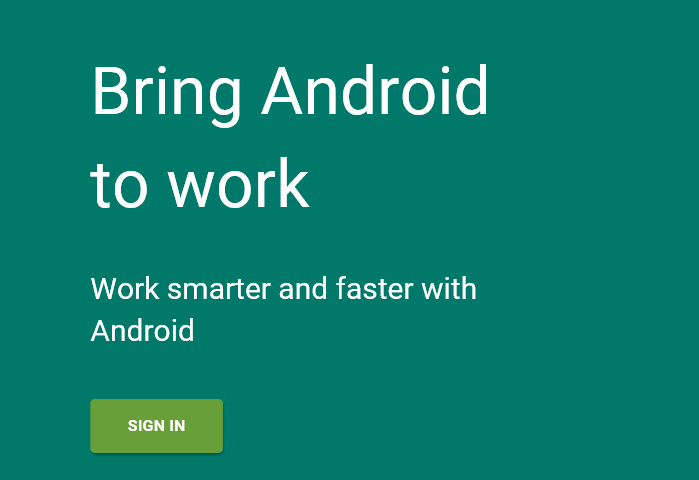 Notice the initial synchronization can take 5-10 minutes. 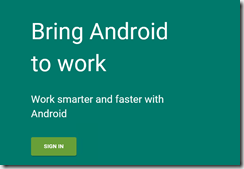 Android for work support is very helpful for enterprises. Great article.